As mentioned earlier, there are many types of cars available on the market. Normal cars are available in dozens of shapes, sizes, and types, each having their own class and style. You can find luxury cars, convertibles, hatchbacks, sports-coupes and sedans, and hybrids, all of which have different price tags, features, and modifications. Easy-to-Drive – One of the biggest benefits of driving normal cars is that they are easier to drive on city roads as compared to pickup trucks. This is mainly because they are more compact and have low ground clearance. 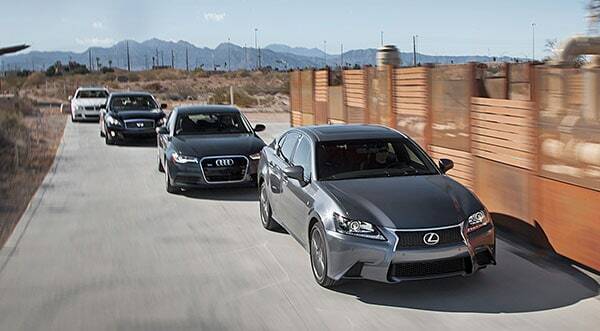 Convenience – Cars offer the ultimate convenience, especially sedan models. The larger sedans can provide seats for a maximum of 6 passengers and even come with extra trunk space for additional load and extra luggage. Gas Mileage – If gas mileage matters to you, then there can be nothing better than a car. 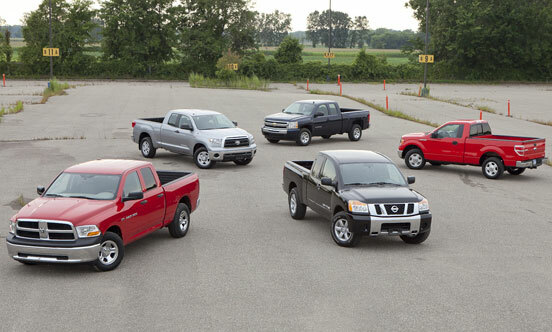 Pickup trucks usually come equipped with larger engines which consume a lot of gas. Where cars can give 30 to 40 MPG in the city, trucks can hardly give 20 to 25 MPG. Variety – When it comes to purchasing a vehicle, you have a diversity of options available as compared to only a few trucks. Therefore, the large variety gives you a better chance of getting a good deal, as the market for normal vehicles is far more competitive than for trucks. Privacy – One of the best features of cars is that they can provide you privacy. Unlike a truck, your belongings won’t be exposed to potential thieves if they are safely stored in the trunk. This means you can keep various items in the back without having to worry about anything being stolen. Parking is a Piece of Cake – As compared to trucks, cars are easier to park. This is mainly because trucks are much bigger and this makes it difficult to park, without banging into another vehicle. Nevertheless, since cars are more compact and smaller, they are easy to drive and park. Limited Visibility – Some cars come with lower seats and this can make it incredibly difficult to drive due to limited visibility and many blind spots. Insufficient Space – As compared to trucks, cars are not capable of providing you the space normally found in trucks. Even though they might have good cargo space, it is still far limited as compared to trucks. No Towing Ability – Since cars come equipped with a smaller engine, it is usually difficult to tow other vehicles. On the other hand, trucks are more powerful, thus it is incredibly easy to tow other vehicles. Off-Road Driving (Not Possible) – Since cars are light and small, they aren’t great for towing or hauling. Additionally, due to their low ground clearance, it can almost be impossible to drive a car off-road. On the other hand, trucks are mean machines purely built for the outdoors and off-roads. Cars and trucks are different from one another. Where cars are incredibly small and compact, trucks are larger and come with additional features which cars can’t offer. Trucks are usually a good option for people who enjoy off-road trips and who work construction jobs that require regular transportation of heavy objects. Powerful Engines – One of the main reasons many people choose trucks over cars is due to their engine which is way more powerful as compared to cars. They might not provide the good gas mileage, but just the sound and power upon putting the pedal to the medal is simply amazing. Storage Bed – Pickup trucks are different than vans, SUVs or any other vehicle, as the back half of the vehicle consists of a large storage bed. This bed is flat can be easily accessed to store numerous heavy objects and materials. They can also be useful in moving large objects, like furniture easily, which would not fit in any other vehicle. More Durable – Trucks are more durable than any other vehicle on the road. The body of these vehicles is stronger and since their rear-beds are separated from the cab, it allows for more chassis flex, thus allowing trucks to haul, tow, and pull heavier vehicles easily. They are also less likely to suffer damage in an accident. Towing Capabilities – One of the best features of trucks is they have the capability to pull a boat, trail, camper, and other vehicles easily. Additionally, truck owners also have to go through limited maintenance, since these mean machines are purely built to handle lots of weight and tough situations. Difficult to Maneuver – Since trucks are larger than cars, it can somewhat be difficult to maneuver on the road. No Back Seats – Trucks cannot be considered a family vehicle since they lack seats in the back. They are not good for travelling with children, as most baby car seats won’t even fit in pickup trucks. Fewer Seats – While there may be a lot of space on the storage bed, not many people enjoy sitting in the bed of a truck. If more than two or three people need to travel in a truck, the seating would be incredibly uncomfortable. In the end, deciding between a car or truck depends on your personal preferences. If you are looking for a family vehicle, it is better to opt for a small car. However, if you are looking for something more powerful which can provide comfort on off-road trips and while hauling and towing vehicles, trucks are the best option. If you are still confused, we recommend this post to help you decide what type of car is better for you.